Keeping Up ... with the Joneses: Road rash! 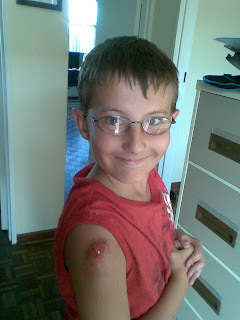 This is a picture of my son James, who had just come home from school after a hard basketball practice. Check out that roastie on his arm - this is what happens when one steps on the ball rather than trying to dribble it!